The finest five-course meal at a gourmet restaurant has the same origins as a simple, satisfying home-cooked meal: the right ingredients, in the right amounts, at the right time. Your golf game works the same way. In our latest video curriculum, “Game Plan: 5 Ingredients to Great Golf,” Golf Digest 50 Best Teacher Claude Harmon III covers the critical pieces of the full swing and short game and shares his best recipes for success on the course. 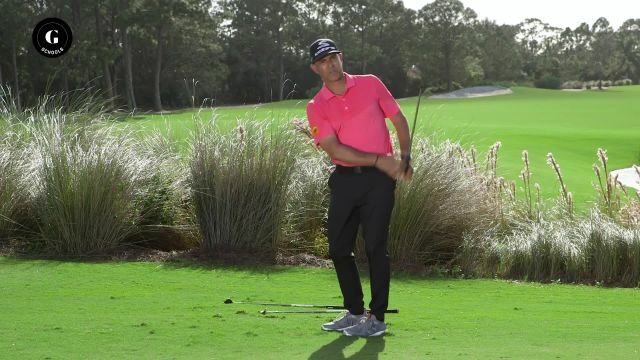 In this five-video series, you'll work on setting up perfectly every time, creating the optimum impact position, maximizing your speed, controlling trajectory and playing with great touch around the greens. You’ll see how these factors work together to produce consistent, high-quality shots from the tee all the way through the green. The information in “Game Plan: 5 Ingredients to Great Golf” will help you diagnose the problems in your game and add the moves that distinguish good golfers. It's time to get cooking.